Hello everyone, it's been a while since I posted but life sometimes gets a little crazy, right? I have a card today I made for World Card Making Day. I finally got a chance to play with the beautiful Emma Stamp from Simon Says Stamp. This is such a pretty and elegant design! 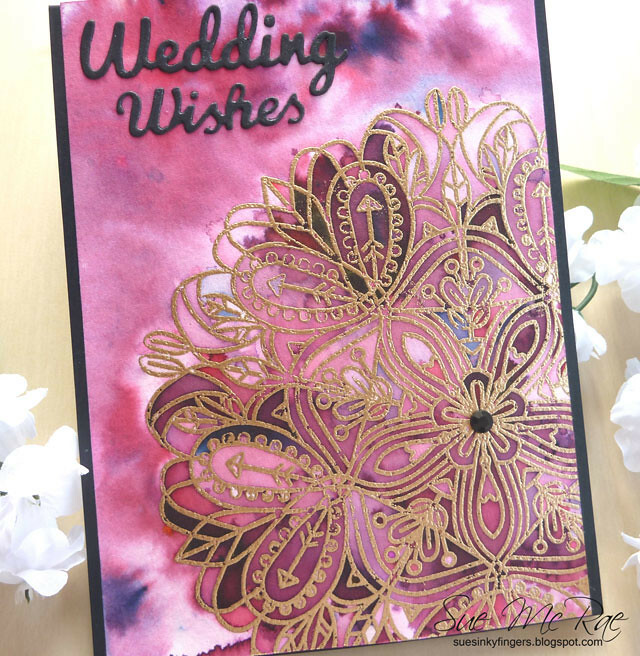 I embossed the image in Brass Embossing Powder from Hero Arts onto water colour paper. I spritzed the paper with water and then added Ken Oliver Color Burst in Merlot and let it do its magic. I love all the separation of the different pigments in this colour! 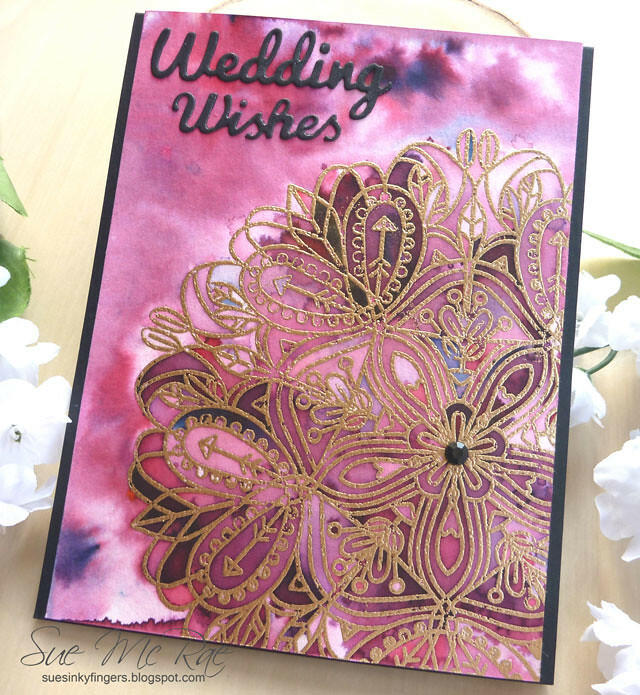 The colours are a little darker than I would like for a wedding card but I didn't want to mess around with after it was dry so I left it as is. I added a die cut sentiment and one black gem to finish the card. I'm submitting this card for the Simon Says Stamp World Card Making Day Challenge found here. Your card is gorgeous. Love the design and colors. Beautiful! 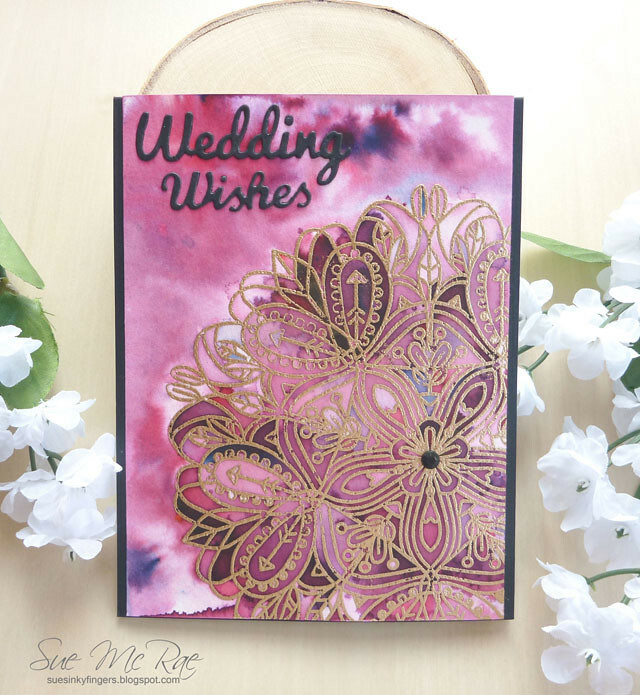 LOVE the background and that gorgeous gold embossing!